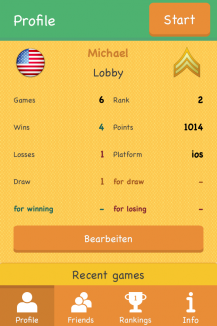 Play "A or B" against players all over the world! "A or B" is an exciting quiz, which keeps your general knowledge up to date and bids boredom adieu! There are ten exciting quiz rounds, in which you can compete online against opponent from all over the world and shine with your knowledge, similar to the famous TV show "Who Wants to Be a Millionaire". Each round, an interesting question is posed and you get two possible answers: A or B. 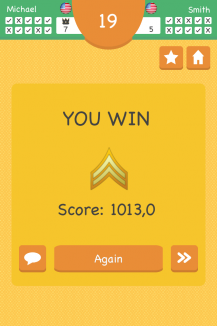 The goal of this gripping multiplayer game is to get the right answer. You'll be awarded points, while your opponent loses points. 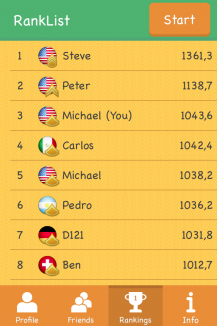 - A leaderboard shows how you compete against your international competitors. 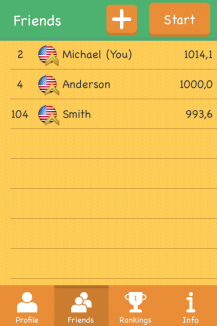 - The more points you have, the higher you rise up the leaderboard. - Your opponent isn't invited by you, but is randomly selected from players all over the world. This makes your opponents more diverse and gets your brain going in no time. 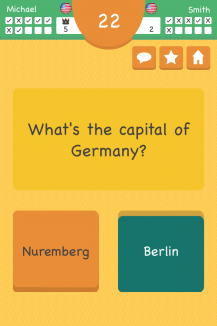 - Each question has a preset time limit, increasing the thrill. Be quicker than the clock and smarter than your opponent to win the match! - "A or B" can be played anywhere, anytime with two players, as long as you're connected to the internet. We hope you like our free game "A or B". We're always happy about (even critical) feedback about our free online brain-teaser. Just send an email to the support address, which you can find here. Have fun playing "A or B"!